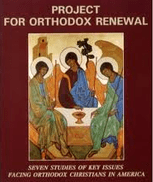 I am interested in what pan-Orthodox ministries there are out there. I know of very few TRULY pan-Orthodox ministries—those ministries that are incorporated as a pan-Orthodox entity or, at least, have a board that is truly pan-Orthodox. Most ministries that we might consider to be pan-Orthodox (at least on the local level) are really more (what I would call) “cooperative ministries.” They are spearheaded by a particular parish with some help from the surrounding parishes. While this is laudable, I don’t consider them to be a truly pan-Orthodox in the sense that they are attached to a particular parish within a particular diocese. (This is not to say that a truly pan-Orthodox ministry should not have a particular ecclesiastical affiliation.) But, most ministries that are attached to a particular jurisdiction/diocese/parish can usually count on support from within that particular setting. The problem that those pan-Orthodox ministries have that are not anchored in a particular jurisdiction/diocese/parish (e.g. Project Mexico, FOCUS, Holy Trinity Nursing and Rehabilitation Center (Worcester, MA), The St. Nina Quarterly) is that it is much harder to secure funding; everyone just gives to their own. Because of this, they are a lot harder to sustain over time. So, my question is what other “truly” pan-Orthodox ministries are out there and how do they/you get your funding? Teva makes a good distinction in her comment on Orthodox Unity between Cooperative Ministries and truly Pan Orthodox Ministries. Please note the OCL Feature Grassroots Unity which is on the website at http://ocl.org/category/governance/grassroots-unity/. Having traveled throughout the United States to many Orthodox Christian Parishes and cities, I am amazed to see ministries that Orthodox Communities are doing together. So much is going on in so many places. We want you to help us highlight these ministries. 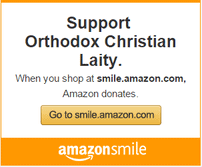 Together we are doing so much to be a light in the world as Orthodox Christians. Help us highlight what you are doing. Send us a short description of your ministry and your website or email and we will post it. You might inspire others to follow in your footsteps. You can describe your ministry based on the format in the Grassroots Unity section and then email the information to: webmaster@ocl.org. Many grass-roots efforts at cross-jurisdictional ministries that have never gotten airborne, because at the end of the day each parish’s programs must be sanctioned and supported by their Bishop, and the Bishops for the most part view with suspicion any program that is not an official function of their own jurisdiction. Most clergy who have been on the job for a few years are wise to this, and won’t risk the ire of their Bishop by getting very involved in such programs. I am the VP of the Orthodox Association of Medicine, Psychology, and Religion (OCAMPR) which is a pan-Orthodox ministry. The executive and advisory boards are made up of OCA, AOCANA, GOA, etc., members. Our conference this year is being hosted by the Serbian Cathedral in Chicago and our speakers are both clergy and lay, male and female, from a diversity of Orthodox backgrounds. Is the St. Nina Quarterly still in existence? I have not heard anything about it, nor seen its publication in quite a while. Wondering what happened to the effort that those women put into that fine publication, along with the existence of the Women’s Orthodox Ministries & Education Network. My old internet links to that org. no longer work, & I can’t seem to locate them anywhere on the net. Seems they might have been previously, loosely tied to the OCL, which is why I am asking about them here. Just saw the recent OCL newsletter asking for updates about pan-Orthodox activities in our communities. Here is a link to my personal Flickr photo page of the 2019 Pan-Orthodox Bible Bowl (middle school and high school level) held at St. Mary Antiochian Orthodox Church in Hunt Valley, Maryland. Vespers was held afterwards. Participating were St. Mary Antiochian Orthodox Church (AOCANA), Hunt Valley, MD; Holy Trinity Orthodox Church (Moscow Patriarchate), Baltimore MD; Four Evangelists Orthodox Church (UOCUSA), Bel Air, MD; St. Andrew Orthodox Church (OCA), Baltimore, MD; Holy Cross Antiochian Orthodox Church (AOCANA), Linthicum, MD. Unfortunately, we had no participation from any GOA parishes. Here is the link to my photo site: https://flic.kr/s/aHsmw73Ki5. Feel free to use any of the photos if you choose.